“The icicles, which seemed to have been deliberately hung in different lengths from all the eaves, were incredibly beautiful and looked like waterfalls of crystal,” writes Sei Shonagon in The Pillow Book, a beguiling example of the classical Japanese prose from the 10th century. The silvery glitter of ice, the sparkling expanse of whiteness with an occasional glimpse of bare black branches, the metallic taste of snow on the lips–winter instills serenity and melancholy in the scenes that ordinarily would strike one as quotidian. The chill of winter in fragrances is usually expressed through the usage of the icy notes of iris, the white musk accords marked by the radiant metallic freshness as well the touches of ozonic elements to create the crisp effect of cold air. While Après l’Ondée is a composition layering spicy carnation, violet and iris over a baroque Guerlinade base shrouded in the powdery heliotrope, L’Eau d’Hiver is an elegantly minimalist core. A few lines and the image comes to life—luminous chilly iris folded into the white softness of almond and heliotrope, creating a scent that is moves beyond a floral bouquet. L’Eau d’Hiver is a scent skin attains after a handful of snow melts in the warm palm, dripping as cold water through the fingers. The sweetness of bergamot sparkles like snowflakes on eyelashes before vanishing, replaced by the woody iris and the green almond powderiness. A swirl of iced flower petals falls gently into the creaminess of the luxurious musky base, adding a soft touch to the chilly outlines of the composition. Like falling snow blurs the lines of the landscape, the elegant powdery quality of the drydown lends a warm, hazy effect. While L’Eau d’Hiver is constructed out of the olfactory opposites, cold and warm, the effect is delicate and graceful like the dance of snowflakes in the air. Paul & Joe Blanc (see my review of Paul & Joe Bleu) is conceptually very successful, since it conjures the whiteness of a glass of cold milk. Powdered almonds touched by the green accent have a dry quality at first, however the composition soon sweetens as the floral notes bloom in the heart. Panoramic and transparent, Blanc explores the softness of flower petals resting upon a milky base comprised of musk. It bears a relation to L’Eau d’Hiver in so far as both have a powdery quality that is between almonds and vanilla, however Blanc is simpler, sweeter and thinner, with less tenacity on the skin. The floral touches give Blanc a transparent quality, which L’Eau d’Hiver does not exhibit to the same extent, retaining opaqueness of the rich musk lacing its base and the woody facets that are minimal in Blanc. L’Eau d’Hiver includes white heliotrope, bergamot, angelica, iris, hawthorn, jasmine, carnation, caramel, musk, and honey. Blanc contains hawthorn, angelica, almond, sweet pea, freesia, rose, musk, heliotrope, cloud of milk. Editions de Parfums fragrances are available from Frédéric Malle boutiques, Barneys New York and Frédéric Malle Editions de Parfums website. Bergdorf Goodman in New York carries the Paul & Joe fragrances. Online, the fragrances are available from the UK-based websites, Hqhair and Musthave.co.uk. In France, the fragrances are available from Le Printemps. I do like FM Eau d´Hiver, but not enough to buy it. Perhaps it wasn´t sweet enough for me (though I´m not into sweet fragrances in general), but somehow I found it rather masculine on my skin. Perhaps P&J Blanc would suit me better since you wrote it´s sweeter than L´Eau D´Hiver. Marcello: L’Eau d’Hiver is one of my favorite recent discoveries. It’s the perfect olfactory rendition of the French adjective ‘candide’ (think Voltaire). julien: L’eau d’hiver is really beautiful. 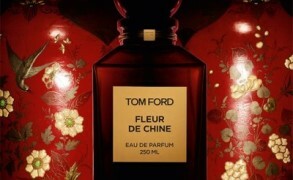 Unfortunately,on my skin it smells like odd old flowers.It even surprised the saleswomen at the FM corner. I never tried Blanc by P&J but i guess it is a very sweet fragrance as l’eau d’hiver. Après l’ondée is a true marvel…i am just too sad i never had the chance to smell the extrait de parfum. You could also name l’eau du ciel Of Annick Goutal wich also is very similar to Après l’ondée. What is your favorite one in between all of them? The guerlain?The malle or p&j? BoisdeJasmin: Julien, oh, that is too bad. However, at least you have Après l’ondée to enjoy. I am also sad that the parfum is no longer made, however it is because some ingredients are now considered toxic. Victoria O: Now you have me wondering if I have tried L’Eau d’Hiver. I thought I had tried all the FMs, but I really don’t remember this one and I like the sound of those notes. julien: Thanks for your answer. I agree with you,Après l’Ondée has something very special,it is sweet melancholy,like an impressionist paint. Wonderful…and about the Goutal,did you try it? Cait: An informative review of one of my faves. I was interested in the way Ellena said he thought he’d improved Apres l’ondee. Hubris, maybe, but I can’t help but agree. And March, I know what you mean about basil. I smell it as caraway. Are the “vibrations” the same? BoisdeJasmin: D, I hear that you can fill out the questionnaire and the store might send you samples. I have never done it, since I already have the tester kit with all of the fragrances. I love the line so much, I have a hard time selecting a favourite. It’s unfair. If people ask FM for samples by mail, they seem to get them. 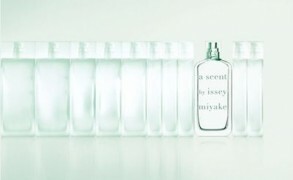 I haven’t scored a single one at the boutique, despite long and fascinating conversations with the very knowledgeable SAs… I might have to spring for l’Eau d’Hiver: I find it delicate and hypnotic, with a perfect balance of iris (a great big whiff at first) and the controlled sweetness of almond (with a slightly bitter undertone which I find I crave more and more). Tara: I am wearing L’Eau d’Hiver today and it is just like your review – so lovely. I keep it in the fridge and love the cold spritz of “winter water.” I look forward to retesting Bleu in Paris next week. Blanc was not nearly as nice as L’Eau d’Hiver on me. BoisdeJasmin: Tara, I also was not as enchanted by Blanc as I was by L’Eau d’Hiver. It has a coolness and fragility about it that I love, yet it is not completely icy. Some warmth is present and it is very interesting. Joytika: That was a beautiful review. I never tried L’Eau d’Hiver, but I looked up the Paul & Joe Blanc and found this review. I just found the Blanc at Anthropologie. Its not available at their online store, and its the only store I’ve ever seen it at. Joytika: Nostalgic, thats the right word! 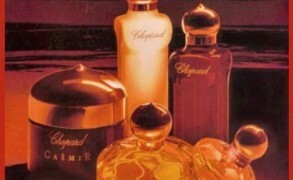 Kloé: I have never really given much thought o scents, much less perfumes. I stumbled across your site, and started casually reading your article on (if my memory serves me right) Fleurs d’oranger. I became enchanted with your writing and your ability to transport me into a magical new world with each perfume you describe. After spending hours on your site (it really felt like minutes), I decided that I must go out and smell sample L’eau d’Hiver.